The MCOCXO is supplied in bulk. 50pcs per tray is the standard pack size for this product. Orders for partial quantities will receive partial trays. The MCOCXO oven controlled oscillator with CMOS output features fast warm up, taking just 30 seconds to reach ±0.1ppm @25°C. With a choice of packages, including robust DIL 14 package and two types of surface mount package to choose from, this OCXO is versatile enough to be useful within a wide range of applications. Low power consumption of just 50mA maximum (at 25°C) adds to its versatility, as does good shock resistance of up to 5,000G and vibration resistance of up to 20G 10.0-2,000Hz range. 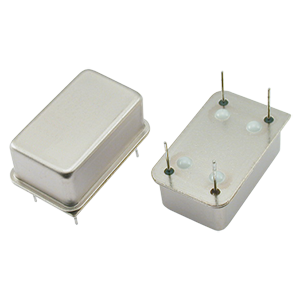 The MCOXCO is available with supply voltage 12.0V at frequencies from 10.0kHz ~ 54.0MHz. To request a quotation for the MCOCXO please use the configurable options form to choose the options you require and then submit your configured product to our team. Our expert advisers are always happy to help with your requirements and can be contacted on +44 1460 256 100 or at sales@golledge.com.